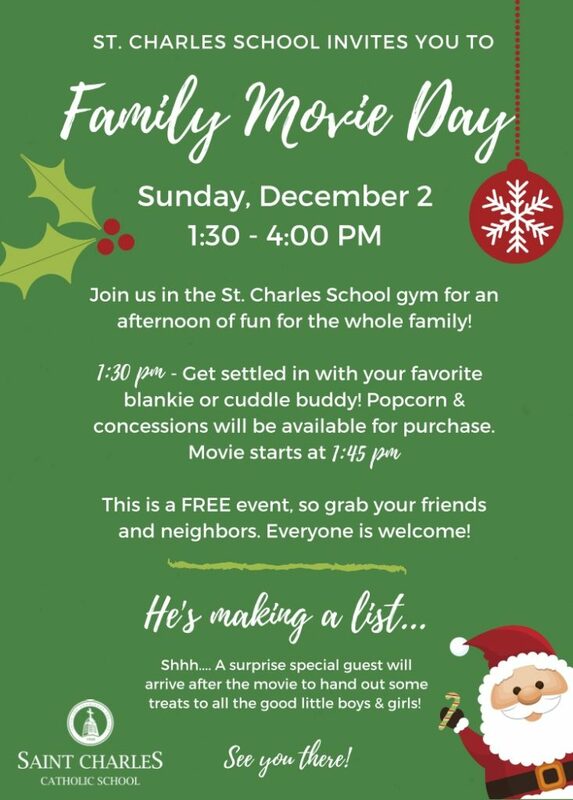 St. Charles School invites you to a FREE event for the whole family! Join us for Family Movie Day on Sunday, Dec. 2, from 1:30 to 4:00 pm. All are welcome so please invited your friends and neighbors, too! Shhhh… it’s a surprise! After the movie, there will be a special guest who will bring treats for all the good little girls & boys!